See-bak is a name you have come to trust for quality and fair pricing for well over twenty five years. Thank You. 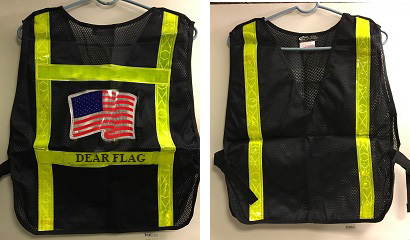 We specialize in custom made, highly reflective safety vests for police, emergency response personnel, motorcyclists, construction workers, cyclists, joggers, etc. where visibility results in safety. All our products are made in the USA with the exception of Biker Leather Jackets. For products that require customization, (i.e. company logo, vest size (generally one size fits all is popular), fabric color (black, navy blue, orange, lime), fabric type (mesh, or solid) and descriptive text) please call us at (860) 965-2692 or send us a note at seebak@hotmail.com and we will provide you with a detailed quote.